I’m impressed by the way that Macron simply stated that it would of course be restored, unequivocally, and it reminded me of the words of Gerry Brownlee after the 2011 earthquake – that we would “have to get rid of the old dungas” but that 4 or 5 buildings would obviously get to stay – being the Arts Centre, the Cathedral, the Canterbury Museum etc. As it was, and as we know, nothing is so simple and so short-lived as the truthfulness of a politician’s words – here we are 8 years later and the ChristChurch cathedral has not even been touched yet, and the Catholic cathedral is still just containers and hay bales. So: don’t trust Macron. 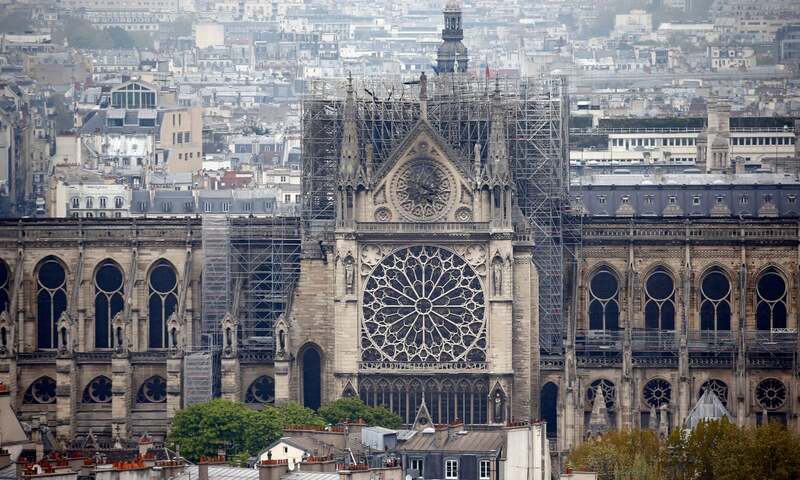 Will the next 8 years in Paris be stale-mated by a stroppy Bishop wanting to demolish the whole building because it is out of date and not what the congregation needs? Will the workers be banned from entering because the Health and Safety issues are too large? Will they insist that everyone wears a Yellow HiVis Vest, because that means that you are safe, or will they just get water-bombed by Police if they do? Will there be looters inside already, scraping up the molten gold that will have cascaded down the aisles as the roof collapsed inwards? I seem to recall a fair amount of Catholic Gilt, as well as the usual amounts of catholic guilt. But who could ever have foreseen this coming? I mean, 850 year old oak beams, with 200 year old varnish, in a building where hundreds of small candles are lit with live matches every day, next to old dry fabric wall hangings… and no one ever thought to put in a sprinkler system? 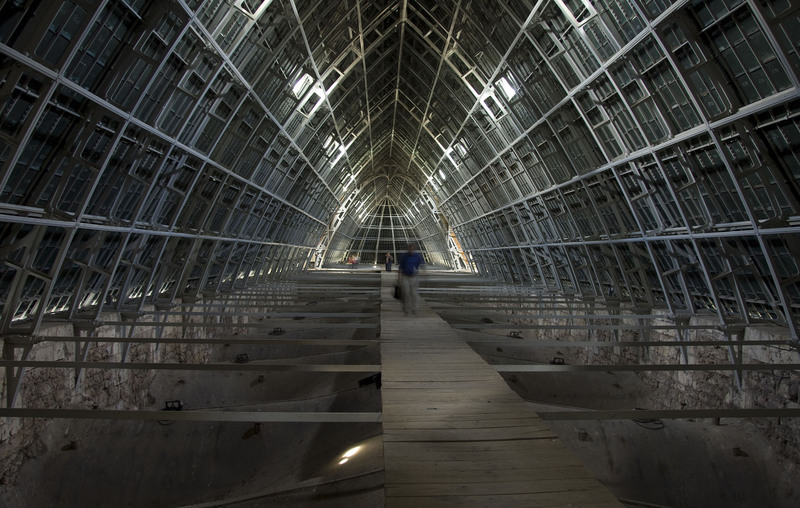 Or to start a restoration project up amongst the timber works and not have a instant deluge curtain built in while they work? Did they have weekly fire drills? The firemen, apparently, took hours to arrive, instead of minutes – or even seconds. In NZ, working on a project like this, we would have to have a Fire Warden on duty, no? Or – did we try this already – didn’t we burn down part of Parliament in NZ while we were trying to work on it? Did we in fact do that twice? Once last century, and once the century before that? Didn’t the Scots manage to burn down the Glasgow School of Arts twice, the second time rather more successfully than the first? Second, install fire suppression systems to uphold rule One? One factor that France has that Gerry Brownlee didn’t have: rich benefactors. 100 million Euros from Pinault – Kering, and 200 million Euros promised from Louis Vuiton. Good. It might make up for those horrible bags they make. 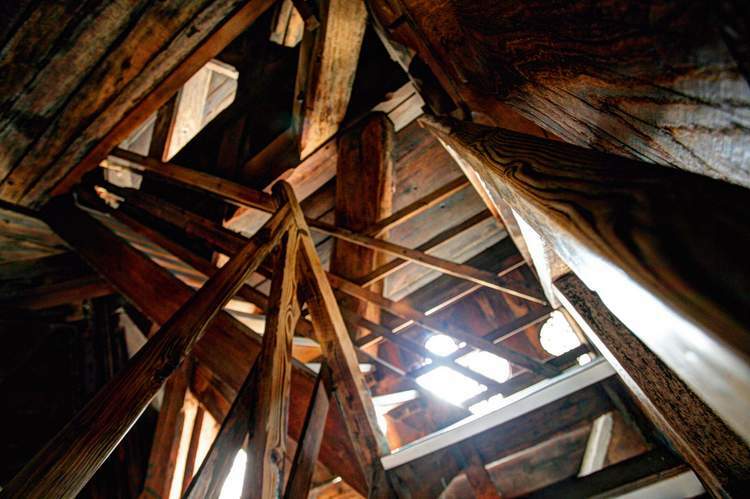 A young construction boss boasted about his firm’s ability to protect historic sites when the company won a contract to repair the spire of Notre Dame. His firm, Le Bras Freres, a small company known as the ‘Cathedral Restorers’, had won the £5million (€5.8m) contract to renovate the spire of the Paris landmark. 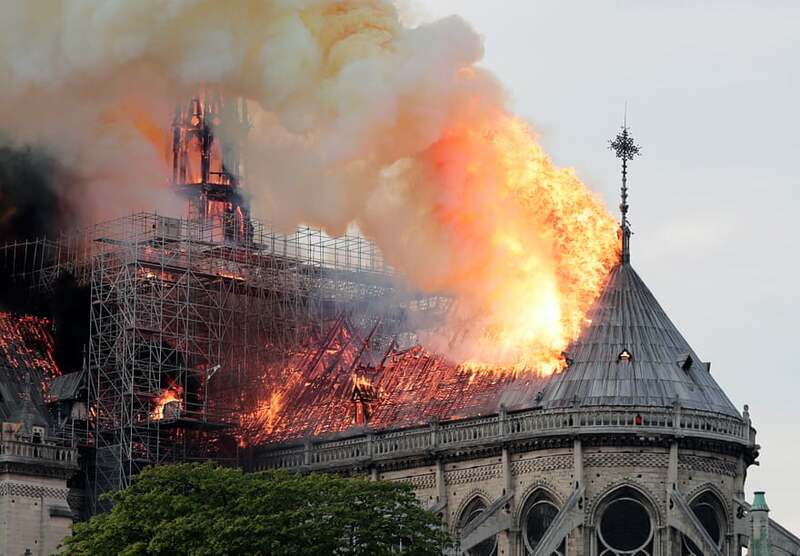 Today craftsmen from the company were being questioned by investigators after the spire came crashing down in Monday’s blaze, which caused such extensive damage that experts believe it could take decades to repair. 5 years? The share price in mature oak forest companies just went up! After a few years living on the continent, I was (and still) am astonished by the disregard for fire protection in France. Given the amount of effort that goes into heritage conservation in the country, the ubiquity of multi-storey buildings with single entry/exit points, no fire suppression systems, no fire doors, no smoke lobbies, not even smoke alarms seems to be out of line with the level of detail applied to every other aspect of the built environment. But, it has to be said, what terrific pictures! We’ll no doubt see something akin to this – so I daresay an oak forest investment might not be that prosperous after all. Heaven forbid la forêt in CLT. That would be pretty sad. Well done greenly and m-d ! Great sleuthing ! So – GEDA are the lift company – who are the main contractors? I’m hoping for their sake that their PII is up to the job ahead…. sounds like a big claim is gonna be coming. 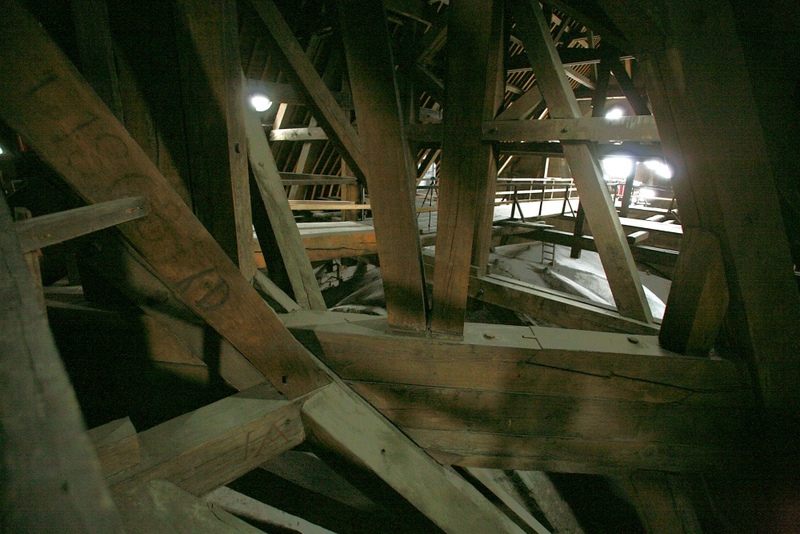 m-d – of course they won’t use CLT – that would be perverse! They’ll use LVL. Mon dieu et sacre bleu – these French are moving fast. They have just announced there will be an architectural competition to design a new spire! 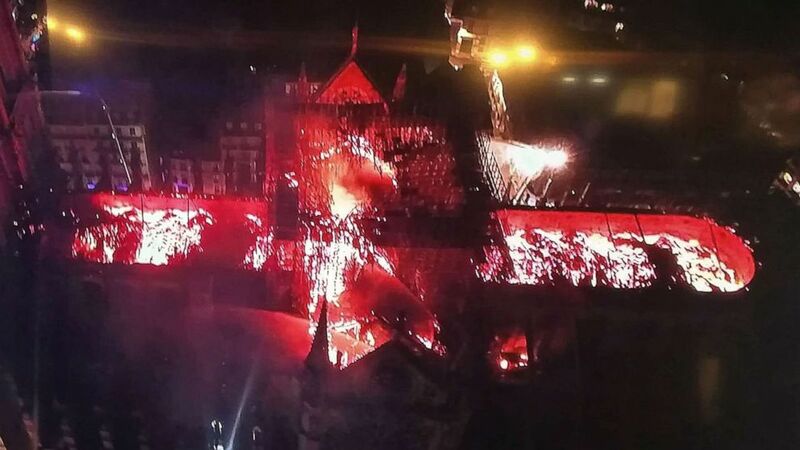 “France will launch an international architectural competition to redesign the roofline of Notre-Dame cathedral after a huge fire gutted the oak-beamed structure and sent its 300-foot spire crashing into the nave, the prime minister has said. 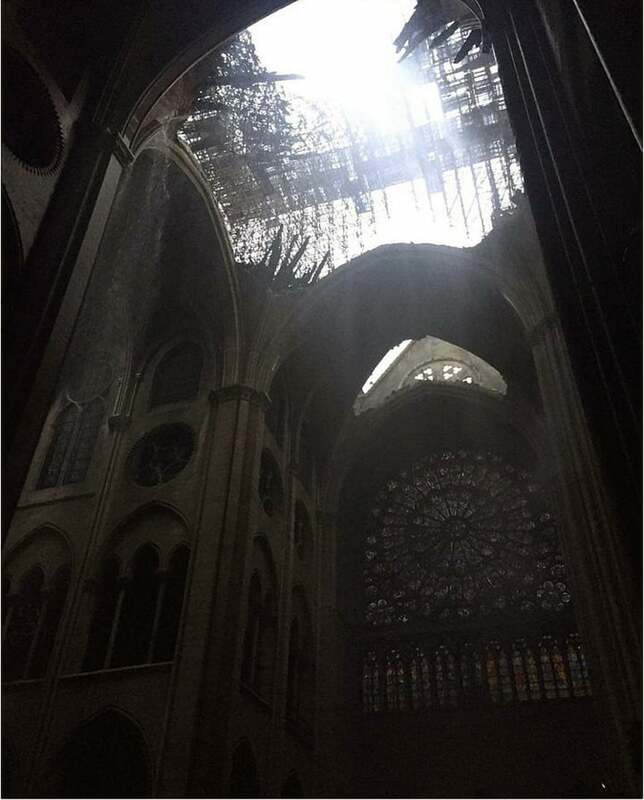 “Notre Dame is one of the most celebrated high-gothic cathedrals, which are surely among the most astonishing architectural achievements of all time. They embody both the technical skill and the philosophical and theological profundity of the unjustly vilified middle ages: a time that saw the first dawn of a faith in an orderly universe, which led eventually to the emergence of science. But this aesthetic judgment is relatively modern. “Gothic” was a derogatory term when coined originally in the Renaissance: the Italian writer Giorgio Vasari used it to contrast the supposed barbarism of that earlier time (anachronistically linked to the Goths, who sacked Rome) with the splendours of his own age. The English diarist John Evelyn dismissed gothic churches as “heavy, dark, melancholy, monkish piles”. “Even in their heyday there was nothing sacred about their original design. Bishops would look at their cathedrals and fret over how old fashioned they seemed, merrily commissioning new wings, towers, windows and annexes to bring them up to date. The result is often an awkward clash of styles and structures from different times. “During the baroque period, many of these churches were blighted by kitsch makeovers. At Notre Dame, marble statuary glorifying the Bourbon kings was plonked in place of the medieval high altar. 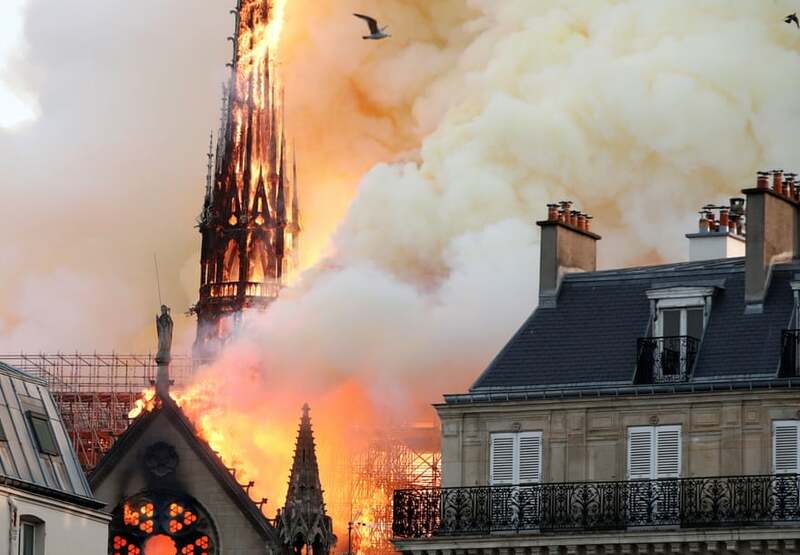 Even worse followed in the revolution: Notre Dame was ransacked as metal bells, grilles and reliquaries were melted down to make cannons and the cathedral was used as a warehouse. It was in a sorry state when Napoleon Bonaparte revitalised its image by being crowned emperor there in 1804. At 6:43 p.m., another alarm rang. It was just 23 minutes later, but when they returned to the attic, it was clear they had a major problem: It was on fire. 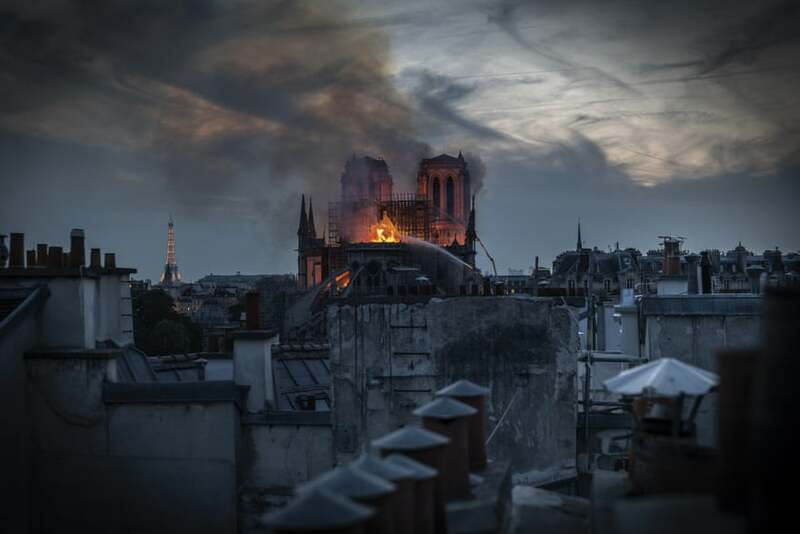 Soon much of the roof and the delicate spire rising high above it were also engulfed in flames, fanned by a strong breeze. Exactly how the fire broke out is now the subject of an intensive investigation by the French authorities, who are so far treating the disaster as an accident. M-d What do you reckon – was starkive referring to GoTic as in Game of Thrones ish ? The blonde queen burning down the whole city just to spare her own life ? I saw no green lightning, but I think that’s the one he meant….. It was really a reference to the way in which cgi (another acronym, sorry) is skewing our perception of even the most dramatic real-word events. How many mediaeval cities can you see destroyed in a digital firestorm, before pictures like these start to diminish? Great images – thanks m-d – yes, I’m a little less than excited to hear that the French didn’t want to put in fire-proof dividing walls as they didn’t want to spoil the look, and didn’t want to put in sprinklers as that might involve water… fools. Still: nice shiny new timbers now. Or steel. Chartres looks ok in modern steel up in the vault. Or, of course, LVL. It’ll go with the spire I’m designing….